The tradition of finding luck in a pot of black-eyed peas is an old one. Contrary to most information black-eyed peas don't need to be soaked before cooking. If you are looking for a comfort soup full of deliciousness and black-eyed peas this is the one! Since dishes containing black-eyed peas have Southern roots-- most include collard greens. These beautiful greens are outside in the garden so I used Swiss Chard. Cover the rinsed beans with 3 cups of water. Toss in bay leaves and two cloves of garlic. They will cook beautifully in the blink of an eye. Remove the leaves and smash the garlic on the side of the pan. Never salt beans until the last 5 minutes or so. This allows the beans to remain tender. Honestly, I could have stopped and eaten these cuties just like they were. Prep the vegetables. Saute the chopped onion, celery ( I used the leaves too), carrot, and pepper squares in olive oil until softened. I added salt and pepper; then popped the lid on the Dutch oven and turned the flame to low while I prepped the thyme and chard. This allows the vegetables to sweat for a few minutes. Remove the tough center stem. Now the black-eyed beauties and their cooking liquid go in with another 2-3 cups of water. before adding all the cash to mingle with the coins for a few more minutes. Finish the soup with a tablespoon of red wine vinegar and adjust the seasonings. May this delicious bowl of soup nourish you as we launch The Daniel Fast. look forward to 2013 where prosperity and new blessings abound. In a medium saucepan, combine black-eyed peas, bay leaves, garlic and water. Bring to a boil, cover, reduce heat and let simmer for about 25 minutes or until the peas are almost tender. Add salt and cook another 5 minutes. Discard the bay leaves and smash the garlic against the side of the pan and incorporate into the beans. While the black-eyed peas cook, heat the olive oil in a large pan or Dutch oven. Stir in onion, celery, carrots and bell pepper, sauté until softened. Add pinch of salt and pepper, cover and let the vegetables sweat over low heat for 5 minutes. Stir in fresh thyme-pulled from a few sprigs-the tomatoes, black-eyed peas and their cooking water, then 2-3 cups water. Cover and bring to a boil. Reduce heat, let simmer for about 25 minutes or until the black-eyed peas are fully cooked; stir in the sliced greens and cook 5 more minutes. Stir in red wine vinegar and adjust seasonings. The day after too much food. The day to savor family and share traditions. Oil the bottom and sides of a Bundt or angel food cake pan. In a small saucepan, melt together ½ cup butter, brown sugar and stir in nuts. Pour the melted butter and nut mixture into Bundt pan. Meanwhile combine the remaining melted butter, granulated sugar and cinnamon in a medium bowl. Separate and coat each roll in sugar mixture and layer rolls into prepared Bundt pan; cover loosely and let rise overnight in the refrigerator. Remove from refrigerator and preheat oven to 350 degrees F. Bake 25-30 minutes. Cool 15 minutes before Inverting pan onto a serving plate. Our Jesus stands at the gate…he consoles the broken hearted. He is there --a tall guard— standing between darkness and light. I admire those who craft. When I was young mother I attempted to be one of those skilled artisan moms. 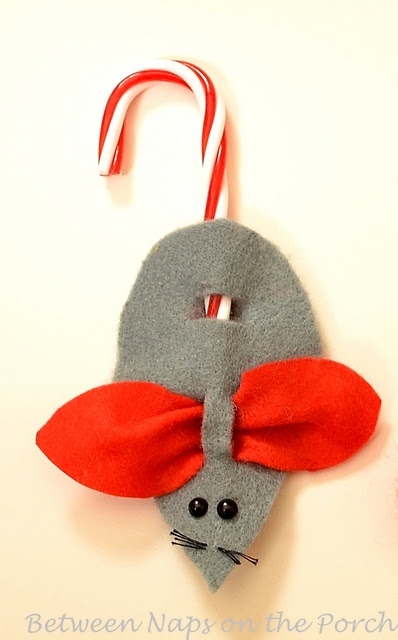 On one occasion I made gray corduroy "mice” with black beady eyes and a candy cane tail for everyone in Gray's classroom. I created (tongue in cheek) this lovely Cranberry Topiary on a snowy day in Montana-- inspired by Clinton's Craft Corner. I record ABC's The Chew to watch while the belt on the treadmill goes round and round. I drew a circle the size of a cake stand on parchment paper. Arrange the mints on the parchment paper lined cookie sheet. The mints should be roughly ¼ inch apart, leaving some extra room on the sides for melting. Bake it for approximately 5-7 minutes. Slip the baking sheet into the oven. It took exactly 7 minutes. I sent MP back to the store for more mints.